Employees at this Valparaiso, Indiana, restaurant have clocked decades on the payroll, while customers have included Phyllis Diller and Red Buttons. Thanks Stuart, we’ll get that fixed immediately! CONGRATULATIONS to TONY’S PIZZA! What a wonderful tribute to Tony’s! My husband and I, he being a native of Valparaiso, were married at the courthouse in Valparaiso in 2003 and we had our small wedding dinner at Tony’s! This has always been and still is his very favorite pizza eatery, even though we are retired and have moved to Michigan in 2006, we still have family in Valpo and surrounding towns, so whenever we visit there, he practically BEGS (lol) to dine at Tony’s. A few times when his daughter has come to visit us for a weekend, she treats her dad with a couple of “uncooked” pizza’s, that we either put into the freezer for later or have them then at that time! This is like heaven to him so he is one happy man whenever he can have TONY’S PIZZA!!! Tony congratulations to you and your family. 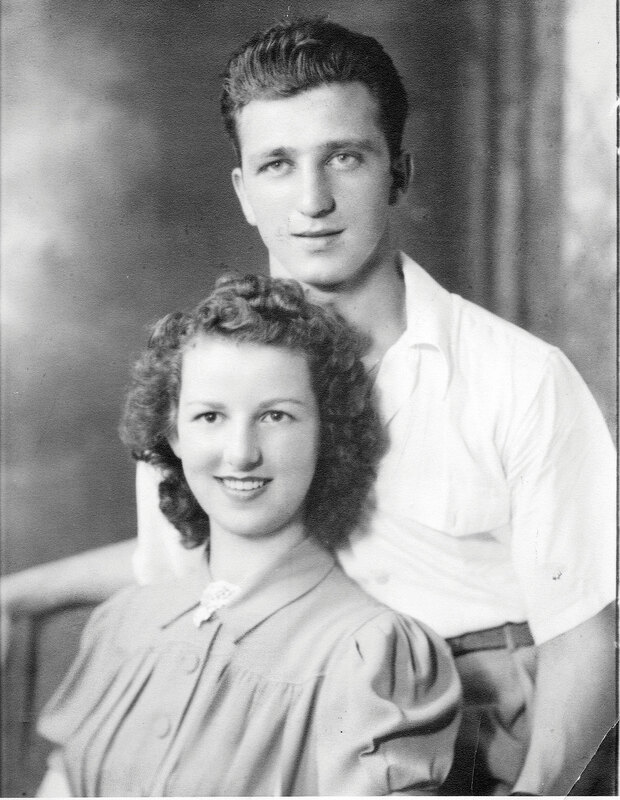 You have been with our family my entire life. See you soon. During high school THE place to hang out after games in the 70’s….best pizza around and big corner booth to fit the crowd around. Lots of good memories. Love this restaurant, and wonderful staff. The pizza fabulous and the many other foods they offer too. Don’t miss this gem if traveling through the area… simply the BEST! 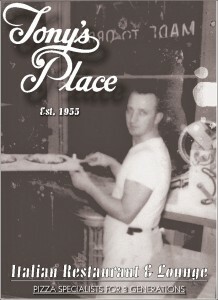 Tony’s Place is a nostalgic land mark in NWI and Valparaiso is proud that Tony’s calls it home!!! I grew up at Tony’s and like many of you my children and grandchildren lovvvve Tony’s too!! The food is not only wonderful and made from scratch but you really can fill up a big family for a great price!!! I enjoyed many years serving at Tony’s and it will alwayssss be a big part of my life…. thank you for so many great years and many more years of success to you all!! Congrats to Tony’s for being a new Hall of Fame pizzeria. The other dishes at Tony’s as just as great, so if they ever have a Lasagna Hall of Fame or an Eggplant Parmesan Hall of Fame, Tony’s will be in there, too. Definitely a part of my life…going to Tony’s after Jr High dances and movies at the Premier Theatre. I live out west now but always find my way back to Tony’s when I visit the Midwest. Like Stuart said in these comments, no better Italian Beef in this world!!! Congrats on the milestone – well deserved!! 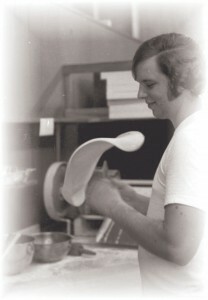 We’ve been going to Tony’s Place for the deep dish pizza for over 35 years. We want to congratulate them for their entry into the Pizza Hall of Fame. I can remember when we first were going there and the servers were Tami, Sandy and Donna. Their deep dish pizzas are #1 in our books. Looking forward to many more pizzas and of course cold beers at Tony’s Place. I have been coming to Tony’s almost every year for my birthday! 51 years of great memories! My birthday isn’t complete without pizza. Tony’s pizza is the best, and the bonus is it is the best value also. I am now a physician in Maine but when back in Indiana I go to Tony’s Place! Congratulations Tony and Gang!!!! A well deserved honor! Looking forward to many more years of great meals and drinks and fun and friendly staff!! !